Vinyl Safety Flooring is a versatile, easy to maintain flooring option for areas of work, play and high traffic. The flexible, high grade vinyl is slip-resistant, antibacterial and hard wearing which makes it incredibly long lasting and so a cost effective solution for your premises. 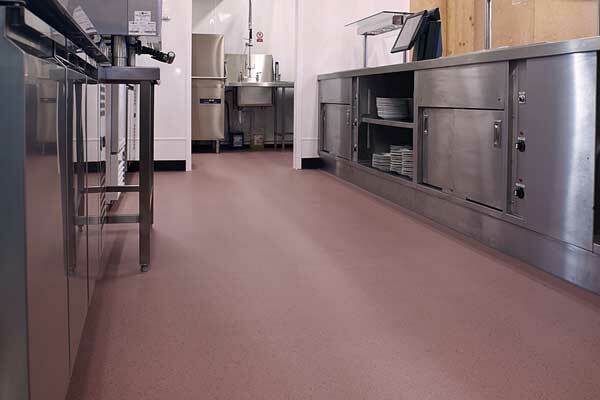 It is commonly used in schools, hospitals and the health sector, as well as in other premises that require specilist flooring to prevent accidents and to help maintain a clean and sterile working environment. S&G is the leading supplier of vinyl safety flooring for customers in and around North Devon and we stock products from the flooring leading safety flooring manufacturers – Altro, Forbo, Polyflor and Gerfloor. Our experts have many years of experience in fitting all types of commercial vinyl flooring. We will work with you to recommend the best flooring solution for your specific business needs. We are able to offer an out of hours service to reduce and disruption to your business. S&G Carpets regularly provide domestic and commercial flooring across Devon and North Cornwall, including Bideford, Barnstaple, Torrington, South Molton, Bude, Tiverton and Exeter. Get in touch to arrange a business visit by either calling us on 01805 623112 or completing our enquiry form. We’ll come to you to measure up and provide estimates, we’ll also bring safety flooring samples.